Song: "Do It For Your Lover"
This year the Spanish national final “Objetivo Eurovisión 2017” was a real thrill. The complicated process where the internet community could choose their favourite of very good songs, LeKlein with “Ouch” has already been seen as the favourite. But in the final show, where most of the songs have been determined by the Spanish broadcaster TVE, the standard of the songs was a lot lower. At the end the Mirela received the majority of the televotes, but the jury has decided and the last word, according to the rules. And they wanted Manel Navarro to win. Rumours said that the one of the jury member was corruptible, as the record company commanded him to vote for Manel Navarro. This caused a huge scandal in Spain. The audience reacted immediately and started to boo, later on the Spanish fan club even called the Spanish parliament for clarification. There was no evidence of venality, so the Spanish entry was correctly determined and Manel could go. Manel Navarro was born in Sabadell, close to Barcelona in 1996. In the age of 14 his father gave him his first guitar. He mainly sings in English and in 2014 he won the Catalunya Teen Star with the acoustic cover of “Hold On, We Are Going Home”. Manel’s debut single was “Brand New Day” in 2014. His song “Candle” reached number two at Spotify's Viral 50 chart in Spain. Manel’s music style can be described as a mix of pop and tropical house. The Spanish entry “Do It For Your Lover” is mainly sung in English. This is a quite untypical Spanish song in Eurovision. The entire atmosphere of the Spanish entry is beach. Manel is mostly wearing a Hawaii shirt, long curly hair and he has the image of a beach boy. The atmosphere of the song can be compared to the music of Jack Johnson, playing the guitar at a fireplace on the beach with some friends. The song has a certain monotony and will definitely catch the audience’s attention. But there is no heightening or even a highlight in this song, it plashed along and will be forgotten very soon. Maybe the Spanish broadcaster should have listened to the fan clubs. Spain joined the Eurovision family in 1961 with the debut song “Estando Contigo” by Conchita Bautista, which reached the 9th place in Cannes. From that time Spain has participated regularly, so it will be the 57th entry this year in Kiev. Like France, Germany, Italy and the United Kingdom, Spain belongs the Big 5 countries. That means these countries are directly qualified for the Grand Final and they don’t have pass the Semi Finals. The reason for this is the financial support to the EBU. The host country Ukraine will also have the right to directly start in the Grand Final. The most successful time for Spain was in the late 60’s and early 70’s when there were two victories and some second places. The chance to reach the Top10 is 45%, as in the history Spain reached the Top10 for 25 times, out of 56 participations. Even if the Big 5 countries did not shape up that well in former years, Spain could at least make the 10th place for three times since 2004: Ramón with “Para Llenarme De Ti” in 2004, Pastora Soler with “Quédate Conmigo” in 2012 and Ruth Lorenzo with “Dancing In The Rain” in Copenhagen 2014. 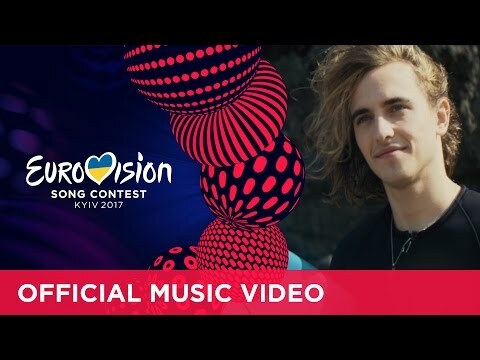 2017-02-07 - Who will sing for Spain?